From undrafted free agent addition to 50-goal scorer, all in a span of three seasons. 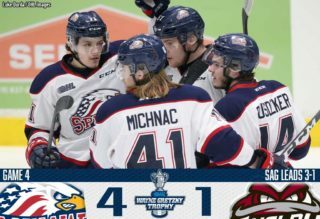 After scoring five goals as a sophomore in 2017-18, Jonathan Yantsis returned to Kitchener for his third OHL season and showed early signs of dominance, scoring four times over his first three games. 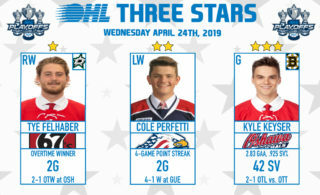 The 6-foot-3, 210Ib winger dominated the net-front, cleaning up the ‘garbage’ while helping the Rangers put together the OHL’s top-ranked power play in 2018-19. When all was said and done, Yantsis was the Rangers’ first 50-goal scorer since fellow Markham, Ont. native Jeff Skinner hit the half century mark in 2009-10. He also led the league with 24 power play goals, the most by a Ranger since Nick Spaling back in 2007-08. 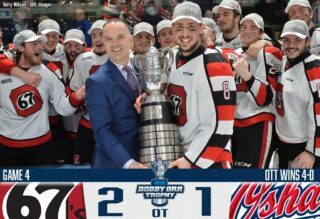 His 45-goal ascent even surpasses one of the more impressive leaps in recent OHL history when Owen Sound’s Mike Angelidis jumped from nine goals in 2004-05 to 53 in 2005-06. Yantsis’ leap from five goals to 50 was mirrored by offensive increases made by teammates Greg Meireles (30 pts. to 97 pts. ), Riley Damiani (37 pts. to 85 pts.) and Rickard Hugg (32 pts. to 73 pts) as the Rangers discovered a brand new cast of primary producers. 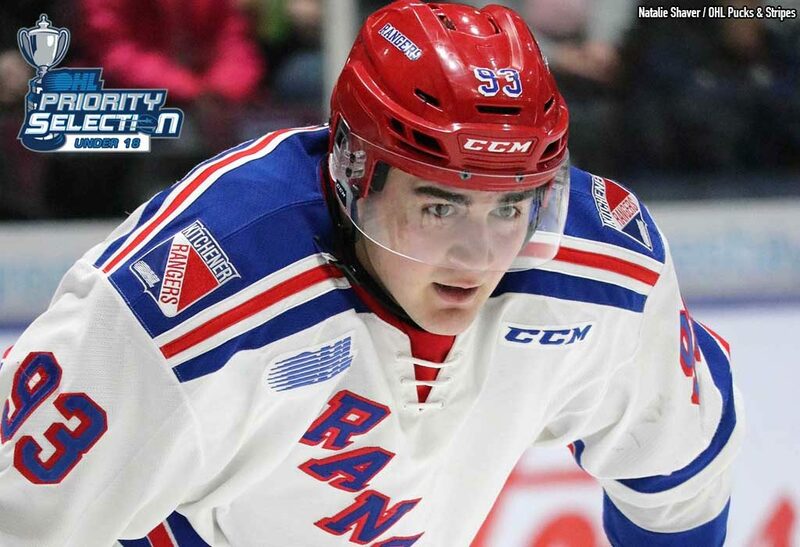 Drawing comparisons to big Philadelphia Flyers winger James Van Riemsdyk from Rangers head coach Jay McKee, Yantsis is the latest undrafted talent to do big things in the OHL. Former Erie Otters winger Alex DeBrincat, who played for McKee while he was an assistant with the Otters, put up three consecutive 50-goal seasons and has translated that success into a 40-goal campaign with the NHL’s Chicago Blackhawks. While Yantsis joined the Rangers prior to the advent of the OHL Under-18 Priority Selection that is set for Wednesday night live at ontariohockeyleague.com, he serves as a great example to players looking for a second chance. “These stories are really inspirational, especially for those kids that have been passed over,” said McKee of DeBrincat and Yantsis. “You have to have that burning passion for what your desire is and what your goals are and if you continue to work hard over-and-over-and-over at it, the sky’s the limit and I truly believe that. Looking back on his upward development trajectory, Yantsis credits a year of Midget AAA hockey with the Markham Waxers for helping him take the next step in his career. After being passed over in the 2015 OHL Priority Selection, he immediately set his sights on the way forward. After two seasons in a bottom-six role behind the likes of Adam Mascherin and Connor Bunnaman on the Rangers’ depth chart, Yantsis put in the extra work necessary to become a go-to guy for the Blue Shirts. 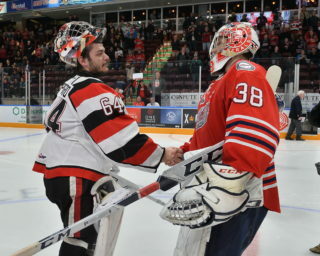 While he remains without an NHL contract and is a likely candidate for an overage season in Kitchener, McKee is eager to see what gains Yantsis can make this coming offseason after being voted the Western Conference’s most improved player in March’s OHL Coaches Poll. “Jonathan had a great year production-wise, but one of the best things about him is that he’s very smart and he can tell you what areas of his game he needs to improve. Some of those things are control with the puck, not just being a shooter and continuing to work on his foot speed. “To be totally honest,” McKee continued, “he managed to go from five goals to 50 and I truly don’t know if we’ve seen him put in his best summer yet. I’m really hoping that this year has inspired him to put in that summer where he’s going to train like a pro and continue to have that burning desire to get where he wants to be.